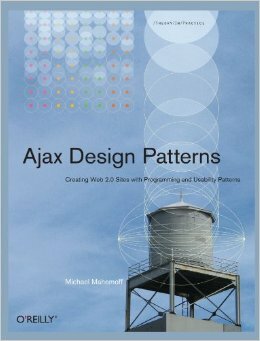 This podcast discusses AJAX, an architectural style for web applications that has become popular in recent months. This is a Podcast – a blog entry with an embedded MP3 link. On Internet Explorer, Click the left mouse button to listen, or click the right mouse buttton and “Save As…” to download. Better yet, you can subscribe for updates straight into your PC or ipod – it’s easy, open, and free. Install the free, open-source, Ipodder client and when it starts, just paste this in: “http://www.softwareas.com/podcast/rss2”. Too easy! 15 minutes and you can be subscribed to receive thousands of MP3 podcasts – from official BBC documentaries to business personalities like Sun COO Jonathan Schwartz to scores of amateur publishers speaking about their own interests. They will download straight to your PC as soon as they’re published. You can listen to them on your PC or any portable MP3 player. If you have an IPod, programs like IPodder will push the downloaded MP3s straight into ITunes, so you can leave home each day with new content loaded on to your IPod. More info in the Podcast FAQ. Server saves the change and sends a confirmation and maybe the latest timestamp. Browser adjusts any information, e.g. shows the new timestamp. For a glimpse of wikis to come, check out this Instant Edit webapp. Fire it up in two different browsers and see how the changes persist without reloading the page. Most famously, Google has a few AJAX applications: Google Maps, GMail, Google Suggest. YARC! Yet Another Rich Client! In the early 1990s, the Mosaic browser made the web clickable. It was the first window-based browser. Images, then animations and sounds, were later added. ASCII art soon faded as quickly as silent film. Java allowed for client-side applets. Flash was introduced, and with Flash MX, became more programmer-friendly. Client-side GUI applications increasingly connected to the internet. e.g. Multiplayer games, Desktop search tools, ITunes Music Store, Auto-updating virus protection, Dreaded “free” spyware. Frames, and even better, invisible IFrames allowed for invisible request submission and manipulation of the current web page. Each browser continues to offer its own proprietary extensions (with some possible clicking of checkboxes or downloading of extra components): MS offers .NET support, Mozilla and Firefox offer a powerful plugin architecture, Opera offers a presentation package. When the user says something, the function sendComment() is called. It grabs the user’s message from the input field and passes it to httpSendChat, an XMLHtppRequest object. httpSendChat posts it to the server. Great, it works if I say something. But it’s a chat program. What if someone else says something? The application simply polls the server, ensuring that “receiveChatText” is called every four seconds. The chief beneficiary of AJAX is the user. Web applications feel much more responsive, and the user won’t hesitate to perform actions for fear of slow response times, or outright timeouts. Furthermore, form data need not be lost due to browser crashes: using a timer, it can be sent to the server every few minutes, just like auto-backup. For standard form-based applications, that’s a nice benefit, but hardly a killer app. Where AJAX will shine is in truely rich applications. In particular, on intranets, where many corporations have already migrated traditional GUI applications. This migration process has usually been led by technologists concerned with the infrastructural overheads of administering and upgrading standalone applications. It’s much easier to have all the applications sitting on the server and the clients running a standard web browser. These web migrations may have improved administrability, but they have often cause users pain. Ironically, they’re often left longing for applications written a decade before the web apps. It doesn’t help that most projects are clueless with regard to usability, but even if usability is considered, the web platform is inherently unusable. The control components are simplistic and server synchronisation is confusing and time-consuming. AJAX doesn’t do anything for the controls, but at least it brings the server and client closer together. Some objections are taken from the resources below, especially AJAX: Promise or Hype. Any form of interactivity is often anathema to many different types of specialised needs. Nevertheless, this should not stop the technology from progressing, and providing rich interaction to those who can use it. As always, accessibility must be maintained, and multiple mechanisms might be required. Furthermore, new technologies can improve accessibility too. It’s easy to imagine, for example, how an AJAX-enabled site could let users quickly resize and move around certain screen elements to meet their individual needs. AJAX does represent a potential challenge to networking infrastructure. Traditional web applications can feel like earlier client-server applications. Submit your offerings, then receive a response and meditate on it for a while. AJAX makes the term “web application” a lot more honest. The server really is involved, possibly even after each keystroke. Interestingly, bandwidth requirements may go down because usually only small changes need to be sent each way. However, latency is another question: using an AJAX application might feel like typing against a slow telnet connection. Stuff… hap…pens…much…sl..ower…than you…can…think… . This will probably not be a major concern on intranets, where there are relatively few users and usually good connectivity to the server (especially as it’s often nearby). However, it’s still an open question how AJAX will be used on the public web. Certainly, it can be used to incrementally improve just about any form-based application. And it can surely go beyond that, as Google demonstrates. But can it scale to the requirements of a major site, offering a fully-scaleable wiki or genuinely playable gaming? XMLHttpObject has been around for a few years, but it would be hard to believe anything called “XMLHttpObject” could trigger a revolution on the PCs of the world. Frames and IFrames supported this sort of interaction even earlier. History and logic would suggest that a standard name and community, combined with some flagship applications, are powerful tools indeed. And the timing is right: users have lived with static web applications long enough, broadband is now mainstream, and the economy hungers for innovation. The raw technology may have been around, and even used in doses. But all signs indicate that the new name, given the increased need and the prominent offerings by Google offerings, constitutes a tipping point. Let’s be clear. This could have happened a lot earlier. There’s a lot of unfounded nonsense about MS on the web, but there is indeed broad agreement that MS does not benefit from adoption of rich web applications. And for pretty obvious reasons. They worked hard to innovate with IE in the mid-90s, attaining the dominant position. Consequently, they managed to crush Netscape’s dreams of replacing the Office Suite and Sun’s dreams of Java on every desktop. It’s hard to see MS doing anything about XMLHttpRequest within IE though; the interaction it provides is rich, but quite frankly, not that rich. Flash is a bit of a mystery, since it’s extremely cross-platform, having excellent support on all the major browsers and platforms. And yet, it’s never taken off for serious application work. In fact, it’s really been used for not much more than ads and fancy presentations. It’s certainly capable of doing much more serious applications, and maybe Flash MX will still shine. It took a long time for Macromedia to target serious development. Perhaps this was a strategic mistake, or perhaps it was an intentional means of gaining wide browser share. 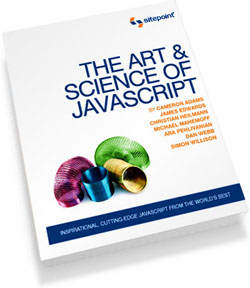 Ajax: A New Approach to Web Applications is the Feb-18-2005 article which introduced the “AJAX” name. AJAX: Promise or Hype examines the community fallout from the original article. Ajaxian is a new blog by Dion Altmar and Ben Galbraith. Pingback: Jason the Informatikator » What’s up Podders?